The Carondelet House, located about one mile from downtown LA, opened its doors to the wedding community last summer to rave reviews. 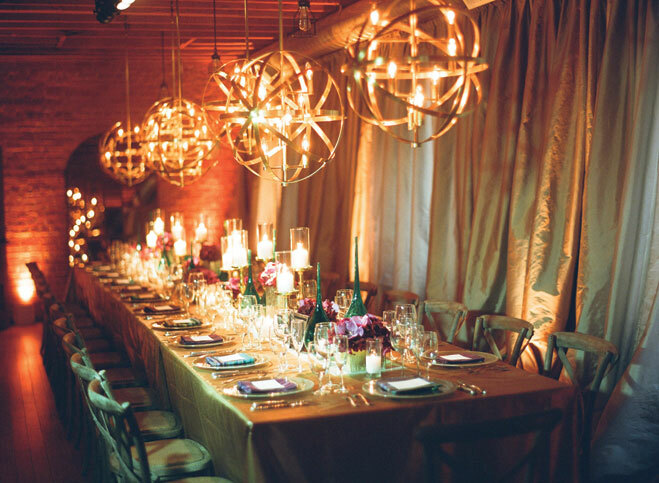 The setting is a beautiful mix of rustic and elegant, with exposed brick walls, distressed-wood flooring and a variety of spaces that create a unique wedding environment. The 7,600-square- foot space, a former residence built in 1928, lends a homey vibe with two courtyards, a dining room for as many as 150 guests, and a cozy lounge area with reclaimed-wood tables, a baby grand piano and leather seating around the fireplace. Best of all, the space comes fully appointed with French country wood tables, distressed oak chairs and benches, and plenty of seating vignettes. The in-house catering staff from Tres LA is on hand to create the gourmet dining experience of your dreams.